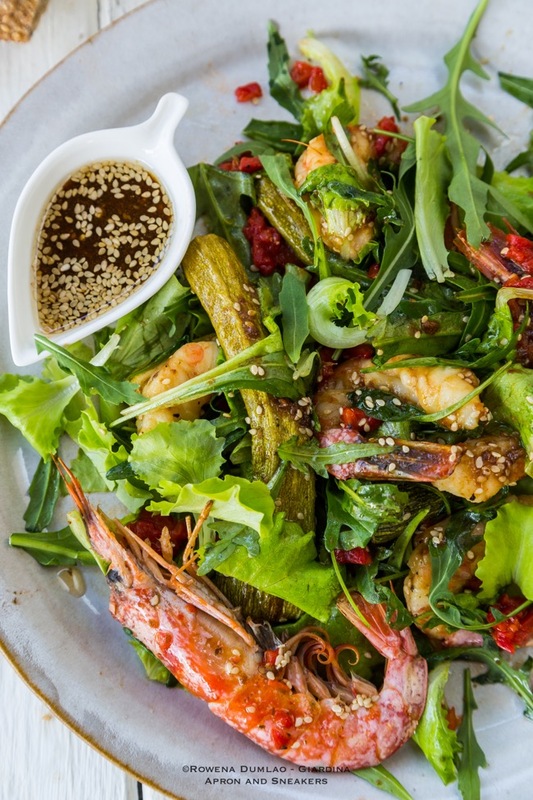 If there is a plate of salad that I can recommend to you that you should really try, I would say this one. It is really, really good. However, there is cooking involved but don't drop the recipe that fast because once you try it, you wouldn't mind the fact that you used your oven and grill. The summer zucchini (use whatever summer squash you can get your hands on) get roasted in the oven then the shrimp are grilled on the griddle or barbecue grill (better of course!). For the roasted peppers, use the bottled ones if you are feeling lazy. Just make sure that they are good like you can taste that they were really grilled. These three pretty much sums the entire salad. 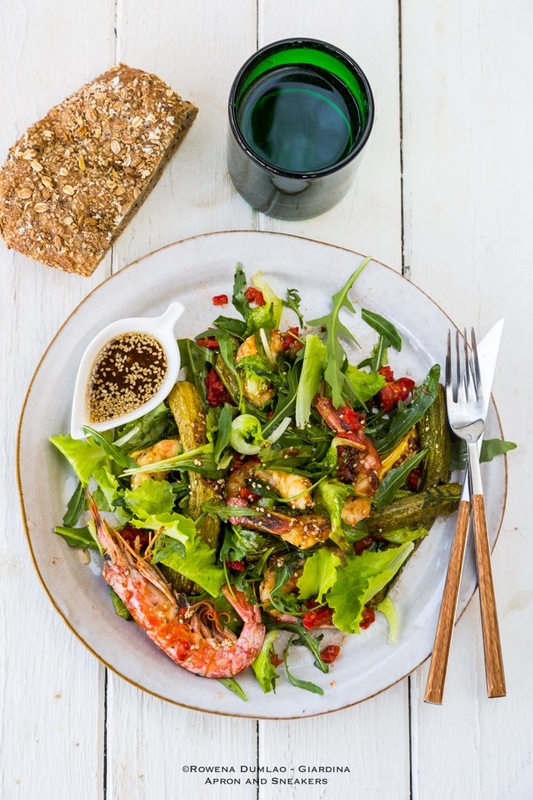 And the grand finalè is the miso dressing which goes deliciously well with the salad. 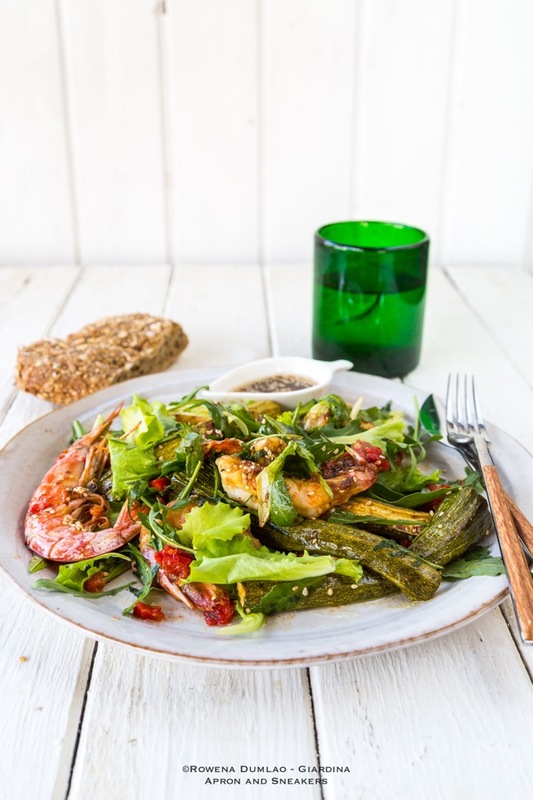 For this Roasted Zucchini and Shrimp Salad with Miso Dressing recipe, get it at She Knows, a site where I regularly create recipes. If you are interested in my other recipes, check out my Profile Page there. Buon appetito!